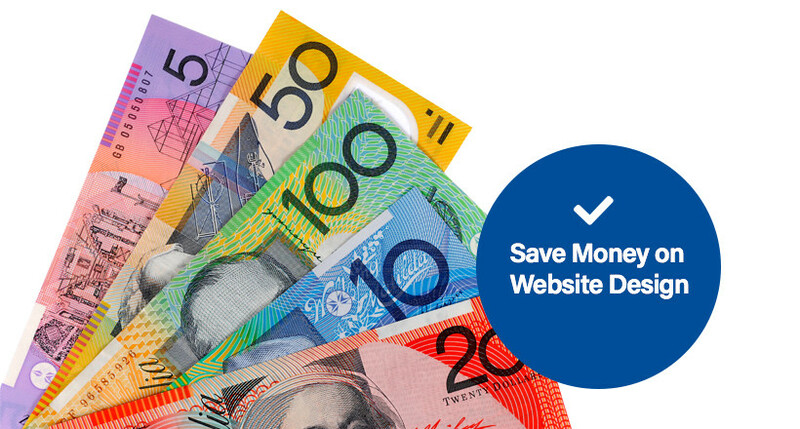 How to Save Money on your Web Design ? Okay. You have decided now it is time to get a website. Good choice, but are you going to put some money into it or are we going to do the cheapest thing possible? That is an excellent question. If your budget is restricted, then we can do a website for practically nothing, just a few hundred dollars. We will just use a straightforward template. We will get your logo on the top, get some information on a couple of pages and, bang; you are on the internet. Now, that will suit if all you need is just to go, “Guess what, everyone. We have got a website. We are serious business. We are not just mucking around. We are on the internet.” It is probably not going to get you into Google very much. Probably nobody is going to be impressed by it, and, let’s face it, search engines are not going to pat you on your back for having two pages on your website. So what are we going to do to fix that? So what I want to get through is that if you want your website to be more cost-effective for you, then either you are going to do some planning and content creation and working out what you want or you are going to pay us to do that for you. So I will give you a scenario. If you come to us and provide us with a memory stick with ten pictures of your latest projects, a little biotype of a page that states what you do, a list of services and a summary that says, “This is what I do. This is the reason why you should talk to me because I am the best in the field.” You have got a summary for your homepage that says, “Talk to us because we are the best here, because we are different for these reasons, and this is what we want you to do. We want you to click on this button and contact us now.” So if you are clear about what you want on your website and got graphics and your logo to support it along with your preferred color scheme, and maybe, maybe you have done a little video that says, “Good day. My name is Jim. This is my line of work, and I am fantastic at it. Come and give us a call.” If you have it ready for us, and if you say, “Guys, here’s my stuff. Just put it on a beautiful, clean, white website. Give me a logo on the top, a menu bar, put my information on there. Let’s get cracking,” it is not going to be expensive. So then what’s going to happen is we are going to make sure we factor in things like writing your pages for you, finding stock photos for you, or doing little drawings and cartoons for you, going backward and forwards about where your logo is, trying to find your domain name. All these things that will have to happen to get your website finished. It is not because we want to be obnoxious or painful, its just that, well, these things take time. Moreover, if you have everything organized, packaged up, and ready to go, we just have it there, we can get started, we can probably build your website in a day. Quickly. So if you do not, well, it will probably get dragged out for weeks. Because you will send us one draft of the homepage and then there will be another one three days later, and then there will be a few more changes before the website is live. So it is just about making sure. If you are prepared, then your site is going to be more cost-effective. We do such websites for just a few hundred dollars. Most of the time, the sites we are building cost thousands of dollars, and people want us to put a huge amount of time and effort into it, get detailed and make much effort to make them customized and on-message and focused for their business. It just depends on what’s right for you. If you just started your business, cash flow is probably a top priority. Also, putting a few thousand dollars into a website might not be right at the top of your priority list. It might be more important to get a piece of heavy machinery. So what’s the halfway? Well, we can work out a budget that will suit what you need. So we will not try and oversell you, but we also don’t want to come in so small that you end up disappointed and you are like, “Uh, not excited about that. Uh, it is a bit annoying.” So we want to avoid that. Okay. So we have decided we are getting a website. We do not want to spend too much money up front. We do not want a cheap website but were not ready to spend thousands of dollars. So the middle road is that we can spread the cost out for you over after 12 months. So if you are going to commit with us for that period, two things are going to happen: we can spread the cost of the website out for you, and if you are a reasonable sort of credit risk, we are happy to do it over three, six months or something like that. If you want us to do some search engine marketing and content creation or content marketing and hold your hand through that 12 months or hopefully forever, we can give you your website up front in a big discount if you are on a monthly plan for content and marketing. So we will take a bit of a risk up front because we will say, “Well, we think we can have you as a customer for a while because we are going to keep you happy.” So that means you are going to get a fantastic website, it is not going to cost a fortune, and you are going to get marketing done for you and content creation. So it is going to be awesome. Okay. Enough said. So just to wrap up, we can design and develop a cost-effective website. Make sure that is what you want though. Moreover, if you do want to save money on your website, be organized. Know what you want and come to us with it. It is a somewhat like going to the accountant with a shoebox full of receipts. If you do that, the accountant is going to run a mile, or he is going to go, “Ooh,” or she is going to go, “Well, yes, that could be expensive.” So that is a bit informative because this is something we encounter not every day but often. Moreover, I just want to try and explain the kind of process that’s going on in our minds, and we want to give you the best possible outcome. We do not want to short-change you, but we also don’t want to say, “Oh, look, if you ain’t got $5,000, you ain’t getting a website,” because that is just not how we are. We do not work like that. We want you to be happy. We want your business to have a good website but one that you can afford. Moreover, then in time, as the firm is successful, you ought to upgrade into a bigger website or a more beautifully designed website. As long as your business has proven that it is working and you have got a system, a money-making machine, then you want to invest in it. Looking forward to speaking to you if you do need a website. Big, little, expensive, cheap or otherwise, give us a call on.02 9804 6930.